Flexible platforms that expand sensor capabilities of profiling floats by providing multispectral radiometry, nitrate, scattering, beam attenuation, chlorophyll, and CDOM measurements to complement the temperature, salinity and oxygen measurements of the profiling float. Measures conductivity, temperature, depth, dissolved oxygen, pH, turbidity, and chlorophyll. 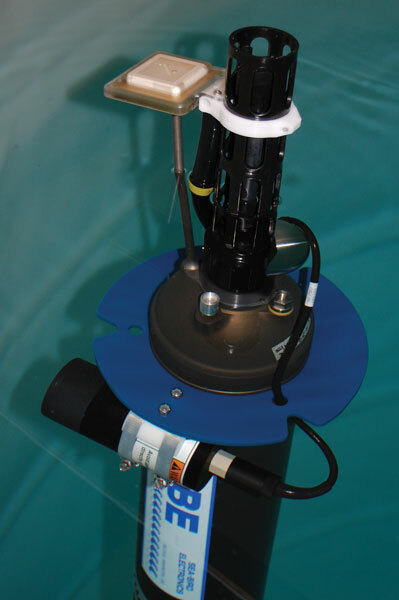 It is ideally suited for extended deployments in remote, biologically rich environments, for depths to 350 m.
The Navis float has a traditional layout, with the sensor head at the top, and the buoyancy bladders at the bottom. The Navis buoyancy engine uses a positive displacement piston pump to transfer silicon oil from internal to external reservoirs to increase the float volume and cause it to rise. A Navis autonomous profiling float with integrated optical Dissolved Oxygen sensor (SBE 63) and bolt-on WET Labs ECO Triplet is now available from Sea-Bird Scientific. The sensors take continuous measurements at 1 Hz through ascent, and provide high accuracy, resolution, and stability. A Navis autonomous profiling float with integrated optical Dissolved Oxygen sensor (SBE 63) and WET Labs MCOMS is now available from Sea-Bird Scientific. The sensors take continuous measurements at 1 Hz through ascent, and provide high accuracy, resolution, and stability. 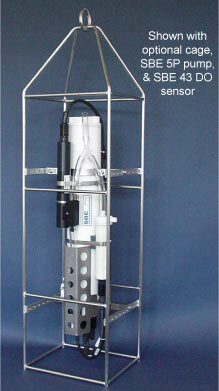 The SeapHOx combines the Satlantic SeaFET pH sensor with the Sea-Bird Electronics SBE 37-SMP-ODO MicroCAT CTD+DO sensor. 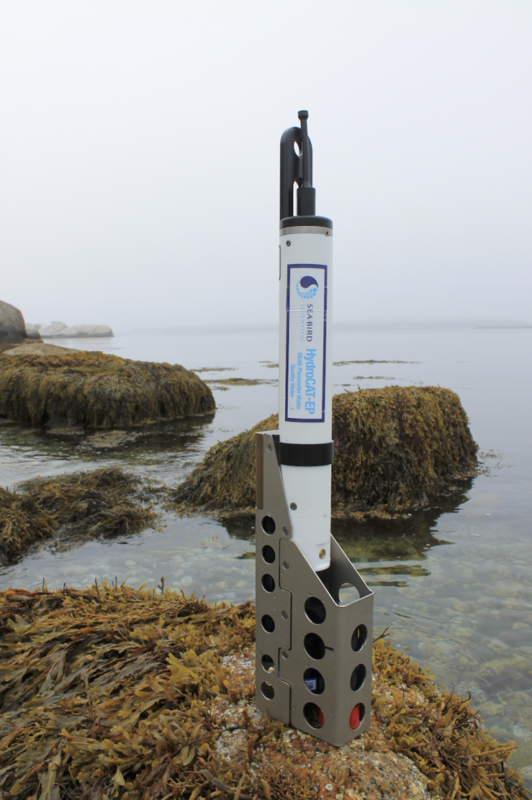 The SeapHOx allows for the integrated data collection of pH with the critical oceanographic and biological measurement of temperature, salinity, and oxygen. 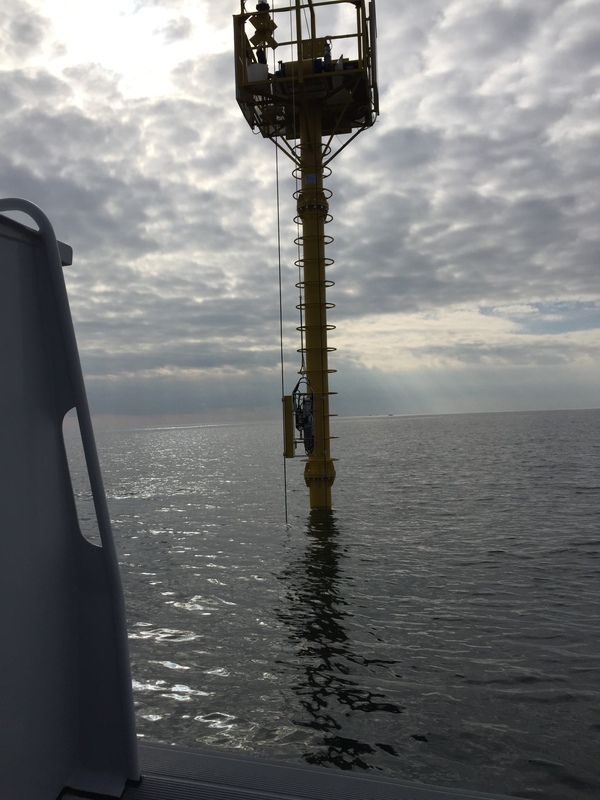 The integrated package also allows the SeaFETTM to take advantage of the SBE 37's pumped flow path and anti-fouling technology, extending deployment durations in some cases. SBE 4 series conductivity sensors are modular, self-contained instruments that measure conductivity from 0 to 7 S/m. The SBE 7 Microstructure Conductivity Sensor is a reliable, lightweight instrument intended for use in marine profiling applications where its high speed and spatial resolving power offer the ability to characterize small scale ocean conductivity features. 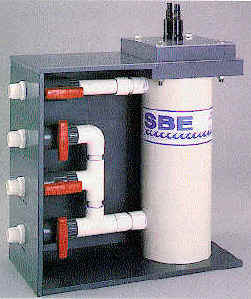 The standard SBE 9plus underwater unit has an aluminum housing rated to 6800 meters (22,300 ft), and is supplied with one conductivity and one temperature sensor (fitted with a TC Duct and constant-flow pump), and an internally mounted, temperature-compensated Paroscientific Digiquartz pressure sensor for 6800 meter (10,000 psia) full scale range. The SBE 16plus V2 (Version 2) SeaCAT Recorder measures temperature and conductivity (pressure optional) and provides high accuracy and resolution, reliability, and ease-of-use on moorings and other long-duration, fixed-site deployments. The SBE 19plus V2 (Version 2) SeaCAT Profiler measures conductivity, temperature, and pressure (depth) and provides high accuracy and resolution, reliability, and ease-of-use for a wide range of research, monitoring, and engineering applications. 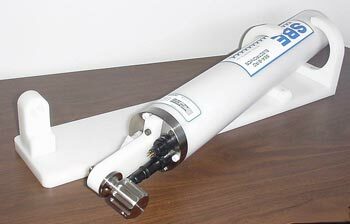 The SBE 21 accurately determines sea surface temperature and conductivity from underway vessels. 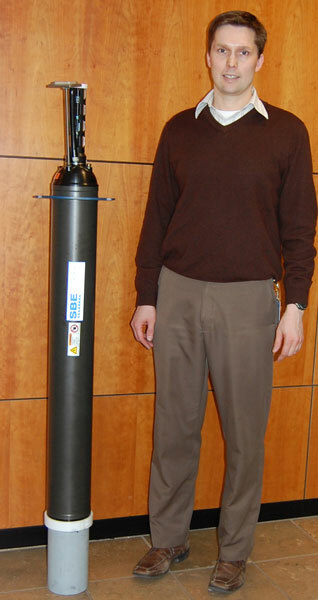 The SBE 25plus Sealogger is the ideal research-quality CTD profiling system for coastal, estuarine, and budget-minded deep-water deployments. The 26plus combines Sea-Bird's non-volatile FLASH memory with a stable time base, precision thermometer, and Quartz crystal pressure sensor to provide wave and tide recording of unprecedented resolution and accuracy, along with high-quality temperature information. An input connector for an optional SBE 4M conductivity sensor is standard. The SBE 37-IM MicroCAT is a high-accuracy conductivity and temperature sensor/recorder (pressure optional) with internal battery, non-volatile memory, and built-in Inductive Modem. Calibration coefficients are stored in EEPROM, allowing output of C, T, P, and time in ASCII engineering units (decimal or XML; raw output available). The SBE 37-IMP MicroCAT is a high-accuracy conductivity and temperature (pressure optional) recorder with internal battery, non-volatile memory, built-in Inductive Modem, and Integral Pump. Calibration coefficients are stored in EEPROM, allowing output of C, T, P, and time in ASCII engineering units (decimal or XML; raw output available). The SBE 37-IMP-ODO MicroCAT is a high-accuracy conductivity and temperature (pressure optional) recorder with internal batteries, memory, built-in Inductive Modem, integral Pump, and Optical Dissolved Oxygen sensor. The SBE 37-SI MicroCAT is a high-accuracy conductivity and temperature (pressure optional) sensor with Serial Interface, which includes a non-volatile FLASH memory. The SBE 37-SIP MicroCAT is a high-accuracy conductivity and temperature (pressure optional) sensor with Serial Interface and integral Pump, which includes a non-volatile memory. The SBE 37-SM MicroCAT is a high-accuracy conductivity and temperature (pressure optional) recorder with Serial interface, internal battery, and non-volatile Memory. The SBE 37-SMP MicroCAT is a high-accuracy conductivity and temperature (pressure optional) recorder with Serial interface, internal battery, non-volatile Memory, and integral Pump. The SBE 37-SMP-ODO MicroCAT is a high-accuracy conductivity and temperature (pressure optional) recorder with Serial interface, internal batteries, Memory, integral Pump, and Optical Dissolved Oxygen sensor. Externally powered, high-accuracy instrument, designed for shipboard determination of sea surface (pumped-water) conductivity and temperature. SBE-49 FastCAT CTDThe SBE 49 FastCAT is an integrated CTD sensor intended for use as a modular component in towed vehicles, ROVs, AUVs, or other autonomous platforms that can supply DC power and acquire serial data. FastCAT’s pump-controlled / TC-ducted flow feature minimizes salinity spiking, and its 16 Hz sampling provides very high spatial resolution of oceanographic structures and gradients. 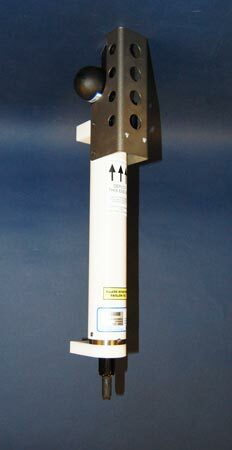 The SBE 52-MP is a Conductivity, Temperature, Depth (pressure) sensor, designed for moored profiling applications in which measurements are made from from a device that travels vertically beneath a buoy, or from a buoyant package that is winched up and down from a bottom-mounted platform. The SBE 53 BPR measures full ocean depth water level with extremely high resolution, accuracy, and stability. The BPR combines a uniquely precise and stable time base with low-power frequency-acquisition circuitry, Paroscientific Digiquartz® pressure transducer, non-volatile 32 MB FLASH memory, and a precision thermometer, to provide unprecedented bottom-pressure recording capability. 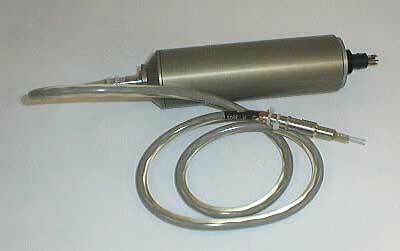 An optional SBE 4M conductivity sensor can be added to provide salinity data.